Maidenhead Martial Arts has over 3000 square feet of training space with 70 square meters of mat space, Fairtex heavy bags, skipping ropes, climbing ropes, battle ropes, chin bars and specialist equipment. We cater for beginners and advanced, in Muay Thai (Scott Corah), Judo (Alan Scott), Brazilian Jiu Jitsu (Mark Phung), MMA (Przemysław Mysiala), Karate and Eskrima. 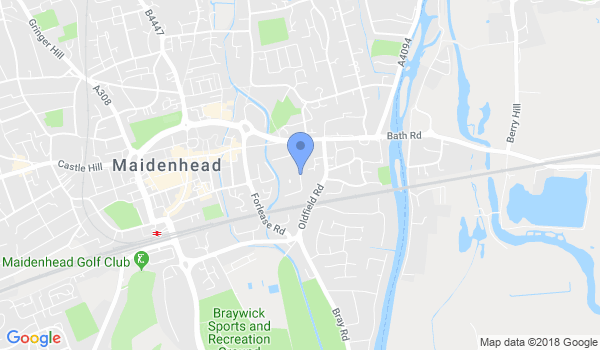 Would you like more information on hours, classes and programs available at Maidenhead Martial Arts? Please contact the school with your questions. Update the details, Write a Review or Report Error of Maidenhead Martial Arts.